I think a lot of people fear what they do not understand. Social drinkers fear alcoholics. Alcoholics fear alcohol. Addicts fear sobriety. One religion fears the other. Some people seem to fear people of different sexual orientation. Since going sober seems to be about honesty, I need to admit I lied a few times in my blogs. I played the pronoun game. A few of the guys I dated actually had the pronoun “she”. The relationship I was in when I first attempted AA was with a woman. She was the one I bruised up in one of my blackouts. She was the one that came with me to a few meetings and supported me going sober for our relationship. But we went back to drinking and other issues caused us to split. So that is my confession of the day. It is who I am. I did not choose it. But I choose sobriety. Mistake #61- I invited a woman I was seeing to a music festival. I liked her but I did not want anything serious. My relationship with my ex boyfriend of almost two years just ended and I wanted to “enjoy” being single. Actually, I was still in love with my ex-boyfriend so I was not ready for a real relationship with anyone else. To add to the emotional confusion, I was not staying in the area. I was saving up for a long trip in a few months. I did not want anyone tying me down. I had friends there were going to the festival. We were all camping there. I arrived Thursday night and set up two tents. When my lady-friend showed up Friday, she was upset that there were two tents. “Oh is the second one for when I piss you off?” I said we just might want more room. But yes, that was the exact reason for the second tent. I had a large cooler full of beers plus the festival had beer tents. I predicted us getting drunk and fighting. It is sad that I had to have backup plans for drunk fights. She met my friends. They all seemed to like her. I was relieved that I did not have to keep her occupied at all times. She could hang out with my friends. I could do my own thing or go off for beers whenever without having to “check in” with her. I spent Friday to Sunday drunk. I started out each morning with mimosas and had a diet of mostly beer all weekend. I passed out early on Saturday night in my tent and missed all the bands that night. I actually only remember two bands from the whole weekend. My lady-friend hung out with my friends Saturday night since I was no fun that night. She helped me pack up the next day before she left. I was drinking Sunday morning to lighten the load of the coolers. I did stop about an hour before leaving. I was still slightly tipsy for my hour and half drive home. I started drinking again once I got home. But I messaged her that night while drunk. I was furious that she risked messing up my circle of friends. I did not care that she kissed someone (or at least I did not think I cared?) But why did she have to kiss the guy that is engaged! I started blaming her for bringing drama into my life. If my friends stop inviting me to camp with them, it was her fault! I should never have invited her! I ended things with her and broke off contact with her. Who was creating the drama? After a year, she and I started to talk again. We are now friends again. She is one of the few that knows I quit alcohol. Well, I told her I quit for a year. I still fear what that group of friends will say about my sobriety. Will they be understanding? The blame game!!! I know that all to well when I was drinking!! It’s nice not having to figure out who to blame for our own behavior anymore…Thanks for sharing!! 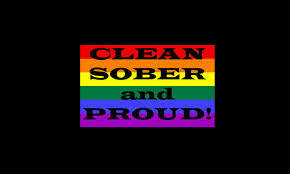 Love and Sobriety to you!! Your honesty has always astounded me. You have always been straightforward. You are not that person anymore and you need to forgive yourself. Chaos leaves when booze stops. It’s nice to know that. I was musing this morning, though, about how I’ve only ever managed to get 10 months of straight sobriety (unless I was pregnant, breastfeeding etc). I think part of me missed the chaos and drama, and I wanted it back on some crazy level. I hope have grown up enough not to be looking for that crap in my life anymore. I think I’m old enough to appreciate peace. I looked at my friends that started to calm down and stop partying in their 30s and thought they were boring. But no, they were just able to drink moderately and grew up from the drama and hangovers. I am finally growing up in my late 30s.